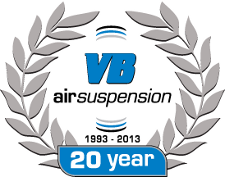 Will you be attending '20 years of VB-Airsuspension'? Are you coming with your partner? Date of activity day you wish attend. Would you like to make use of a shuttle bus service from your hotel to VB-Airsuspension for the activity day? As a contribution, VB-Airsuspension will cover the costs for the first night's accommodation. The remaining nights are payable by you. Are you travelling with other people?